So it’s half term again – and once again, there’s loads to get your teeth into, from hands on workshops at the Craft Centre exploring the secrets of jewellery making, to a giant spiders web at MSI and fun happenings at Waterside Arts Centre. There are free craft/science workshops at Manchester Craft & Design Centre this October half term as part of Manchester Science Festival. Explore chemicals, reactions and elements used by artists in the Science Studio alongside demonstrations and hands-on experiments. Read our preview. The Lowry’s annual Family Arts Festival takes in Slava’s Snowshow, Michael Morpurgo’s Why The Whales Came on the stage, and much more. We have a family ticket for Slava’s Snowshow up for grabs – click here to enter. There are also free family events and activities taking place in The Lowry’s devoted kids area, The Lookout. Check website for full listings. Visit Tudor Manor House, Ordsall Hall, and enjoy Halloween activities to get you in the mood for trick or treating. Options include a ‘The Magical Door Trail’ (Mon 23 – Sun 29 Oct) workshops and drop ins exploring how to make a magic wand (and other things, Mon 23 – Tue 24 Oct). There’s even a Halloween Grotto this year, which is home to the Ordsall Hall witch (Wed 25 – Thu 26 Oct). 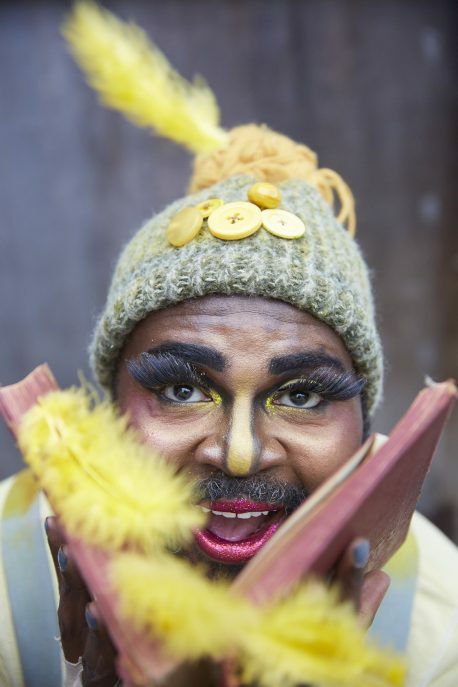 This new piece of children’s theatre explores themes of identity and belonging, as well as showcasing plenty of glamour and glitz with cabaret star, Le Gateau Chocolat, at the helm. This is the artist’s acclaimed re-working of Hans Christian Anderson’s The Ugly Duckling. Waterside Arts Centre’s has a host of family friendly theatre shows, live music, workshops and drop ins taking place during half term. Stage shows include Micheal Morpurgo’s King Arthur (Sat 21 Oct, 2pm) and What Became of the Red Shoes (Tue 24 Oct, 11.30am & 2.30pm). Read our ‘top 4 kids shows’ guide or just pop in and see what’s going on.